The best Wyoming meeting and event planning sites are clustered in Cheyenne, the U.S.'s rodeo and railroad capital and a quintessential Old West locale. The state's largest city is easily reached from two regional airports or from Denver International Airport, 90 miles south. Cheyenne's museums and galleries make excellent Wyoming meeting and event planning choices, while hotels such as Little America Hotel Cheyenne and The Plains Hotel offer meeting rooms, banqueting halls and more. Meeting and event planning in Casper, a former frontier town that has grown into the state's adventure capital, offers groups a picturesque outdoor setting for a number of activities both on land and in the water. Cheyenne, in southeast Wyoming, is home to the state’s capital and nation’s largest outdoor rodeo. Meeting and event planning programs can include Cheyenne Botanic Gardens. Planning meetings and event in Jackson Hole guarantees the perfect retreat for attendees to relax, recharge and get creative. 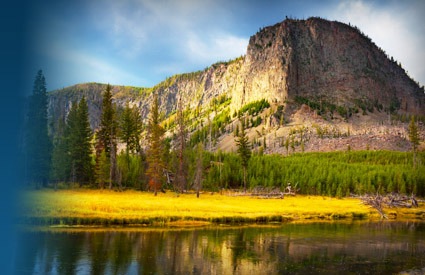 But just because Jackson Hole feels secluded doesn't mean it is; meeting venues in Jackson Hole are in demand.